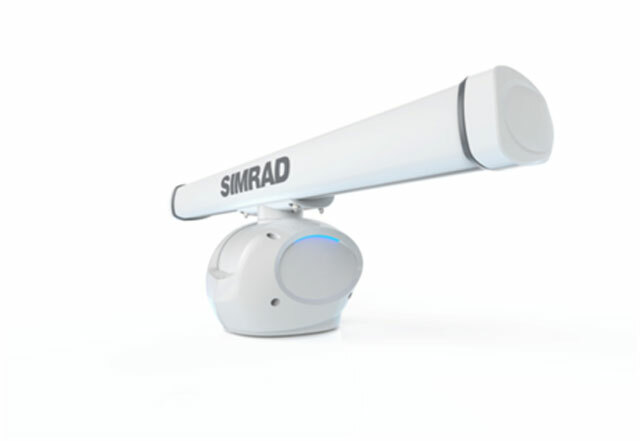 New for 2017, the Simrad Go9 brings more power to small, inexpensive MFDs. 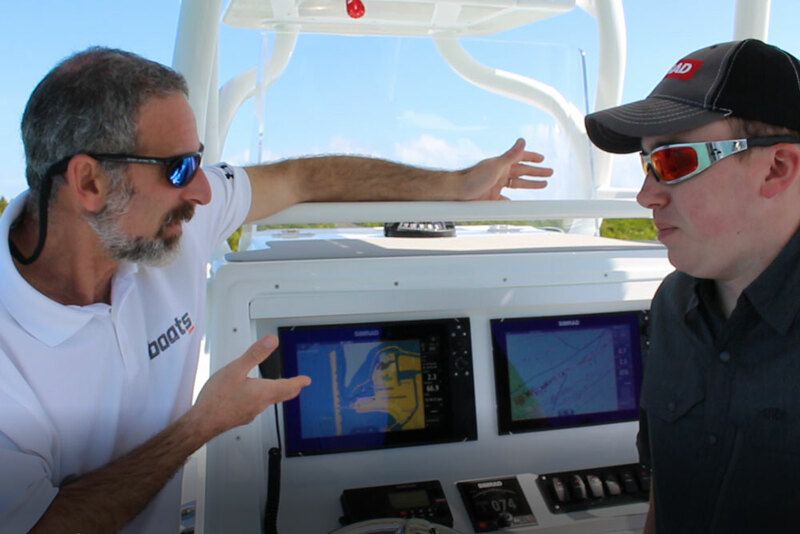 Simrad is one of the most innovative marine electronics manufacturers out there, and in just the past three years we’ve seen them come out with new products like the NSO Evo2, the impressive Halo radar, and the ground-breaking Insight Genesis. Now, for 2017, they’ve introduced the Go9. 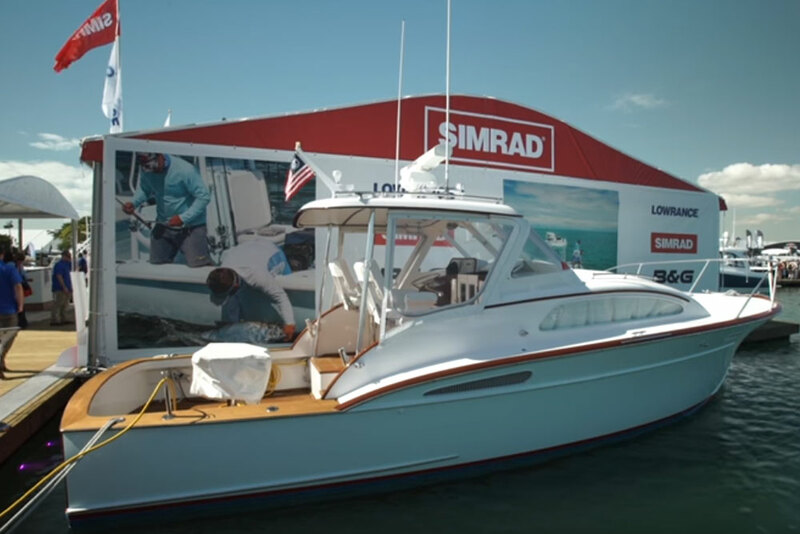 We got our hands on a test boat rigged with the unit at the Fort Lauderdale International Boat Show this fall, to see what it has to offer. 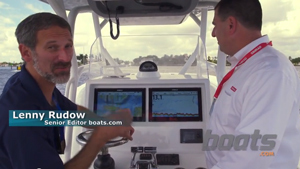 The whole concept behind the Go series (there’s a 5” and a 7” unit in it, as well as the Go9 featured in this video) is to give small boat owners the ability to enjoy touch-screen utility and a smartphone-like interface in a smaller, more affordable package. The Go9 starts at just a hair over $1,000, and the Go5 can be had for under $500. And while it’s true that the smallest of these units does have a very small screen and users (especially those with aging eyes) may wish for a larger LCD, we’ve never before seen so much power and ease of use packed into such an inexpensive package. 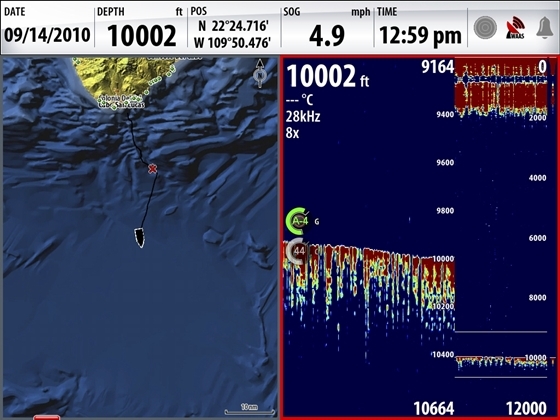 Note, for example, that the entire Go series has WiFi, NMEA2000 compatibility, CHIRP fishfinding ability, and StructureScan ability built in. (Note: you’ll need to purchase the right transducer(s) to enjoy some of these features, which raises the unit’s cost by as much as $150). One more important point to keep in mind: if you want to add radar into the mix, the Go9 is the only unit in this line-up that offers it. What about the idea of putting a button-free, touch-screen operated unit on a small boat in the first place? We’ve had some issues with this in the past. 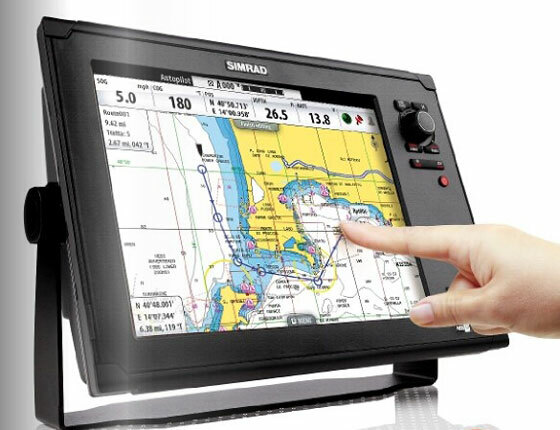 When the boat’s in motion in rough conditions, it can be extremely difficult to use a touch-screen. Passengers quite often try to point to something on-screen, and accidentally change the view or activate a function. 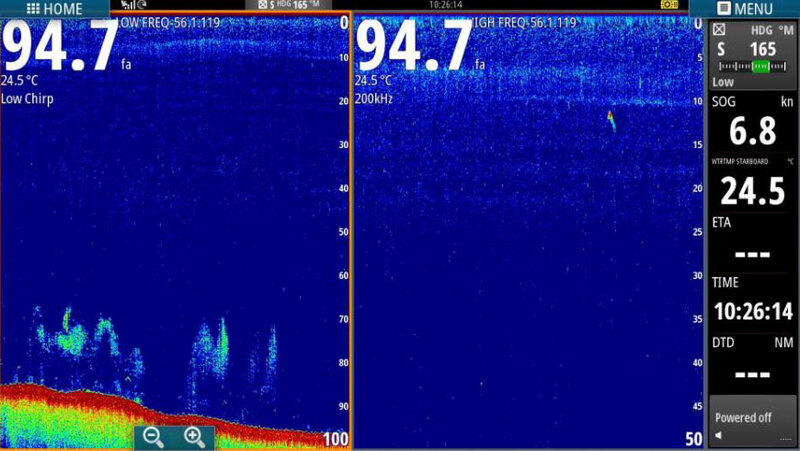 And anglers have found that fingers covered in fish gore can have some unintended consequences, when touching that screen. So boater need to choose wisely. If these conditions apply to you, it may make more sense to get a unit that has press buttons, or a “hybrid” unit that offers both touch-screen and keyed interfaces. If, on the other hand, you operate a boat in relatively calm conditions with no worry about fish goo or otherwise tainted fingers, a unit like this allows you to tap into the best modern marine electronics technology on the market today, at a greatly reduced price-point.